After 23 years, Thor’s Hammer is looking for a new home. Why? 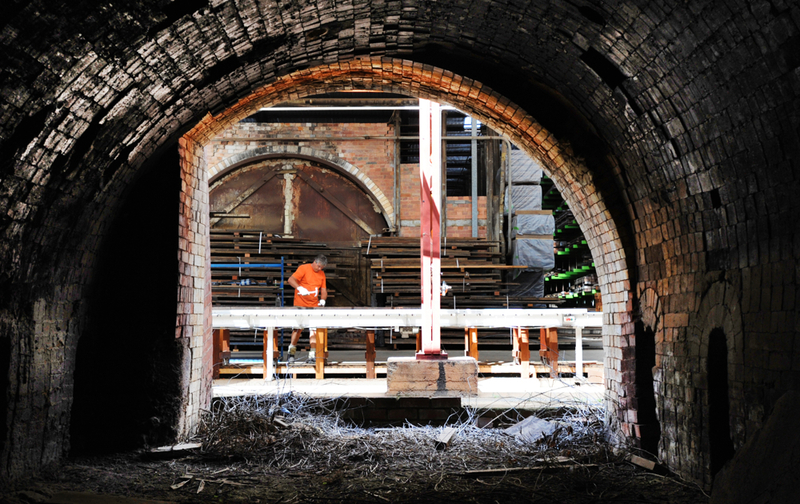 After years of uncertainty, the Yarralumla Brickworks is being sold and redeveloped. We’ve loved working among the old buildings at the Yarralumla Brickworks all these years. It’s an amazing space, full of history and character. But with the ACT Government’s final decision to sell the site we have no choice but to pack up and head out. We’re looking in earnest for a new home, but it’s challenging. Here’s the story so far and stay with us for updates (on this website and through social media). We had our fingers crossed when one the two finalist developers bidding for the site proposed an artisan precinct and wanted us to stay. We were a perfect fit. Sadly, that developer wasn’t selected. The one that was needs us to vacate. Thor’s Hammer fans know we’re not a regular timber business. We’re the ACT’s only timber recycling site and one of the largest timber recycling operations in Australia. What we do is important for the environment since we save valuable resources from being dumped into landfill. We also specialise in making custom furniture and architectural products and we play an important role in training apprentices in old-world techniques so they can create beautiful high-end furniture with recycled timber. We’d be the only business in the ACT where an apprentice can learn to make furniture and bench tops in solid timber. So why not just pick up and move somewhere else, you ask? We need heaps of space. We need space to work and space to store more than 600 tonnes of recycled timber and machinery. We are rationalising our stock but we will still need 3000 to 5000 sqm of land with 2000 to 3000 sqm of workshops. We need time. We need time to find a new site and move all our stock and gear. We need time to build workshop structures and set up so we can operate. This is why we’re looking for an extension of several months to our existing arrangements. We need a home. We want to stay in the ACT, but will consider sites within a 30-minute radius of the capital. Despite all our searching, we’ve not yet managed to find a place that suits. We need land at a reasonable cost. We work in an industry that is labour intensive. Timber recycling takes time (and space!). Producing artisan custom work takes time. So, if our rent goes through the roof we won’t be able to sustain the business. The truth is that it tempting for me to sell all my stock and machinery, shut up shop and head up the mountains and go skiing. But that’s not what I really want. I want to get Thor’s Hammer relocated so we can continue to recycle timber and make beautiful furniture. I want to save the jobs of my 20-plus staff. I want to keep training apprentices. I want to keep contributing to the ACT’s economy. Ok, and head up the mountains on occasion too. We’re trying to get an extension to our License to operate at the Yarralumla Brickworks to give us more time to find a new site. Once again, our fingers are crossed (and holding our thumbs - a client told me this is the Swedish version of crossed fingers) that this will happen. In the meantime, the search is on for a new home. We appreciate your support and shall stay in touch.